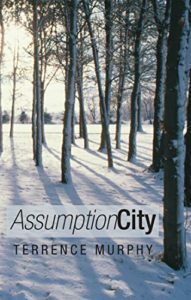 Published at the end of 2012, Assumption City is even more timely today than when it first appeared. Although the novel explores many themes, its central focus is the sexual abuse crisis in the Catholic Archdiocese of Boston that first made headlines nearly two decades ago. This fast-paced story unfolds during a single week in August 2002—from the Feast of the Assumption on a Monday to the story’s climax the following Sunday. Two plots, the first involving the appearance of what some see as an image of the Virgin Mary and the second, the fallout from a high school student’s suicide years earlier, converge as the story progresses. Assumptions, false and not-so-false, drive the story. Many innocents are harmed by innuendo, gossip, group-think and finally by violence. The book tackles questions being asked more forcefully today, in light of additional revelations about abuse by priests and cover-up by their superiors. How wide-spread has the abuse been? How far up the chain of command does the cover-up go? What effect does the scandal have on innocent priests? As dark as this story gets, the reader meets honorable people, encounters moments of beauty and grace, and is treated to scenes of welcome comic relief. © Terrence Murphy's Books All Rights Reserved.